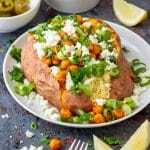 Instant Pot Stuffed Sweet Potatoes is an easy and tasty recipe ready on your table in 35 minutes. 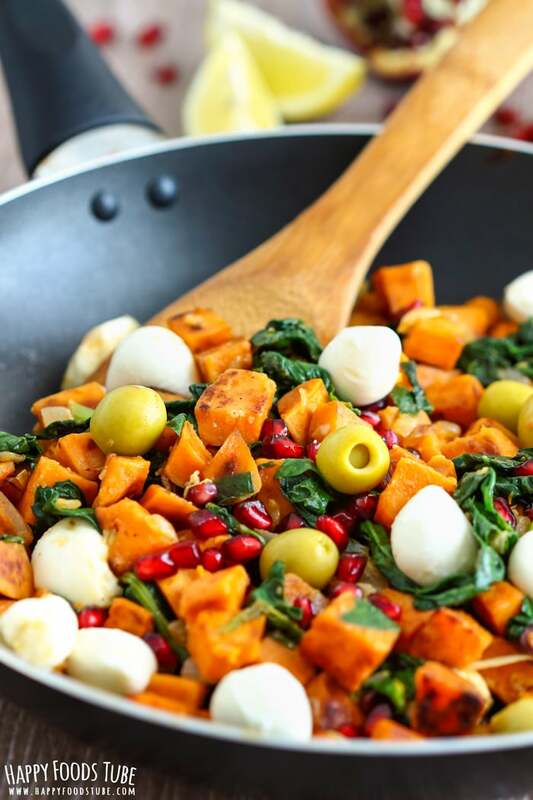 Tender sweet potatoes are topped with Mediterranean flavors. Enjoy as a main or side dish. 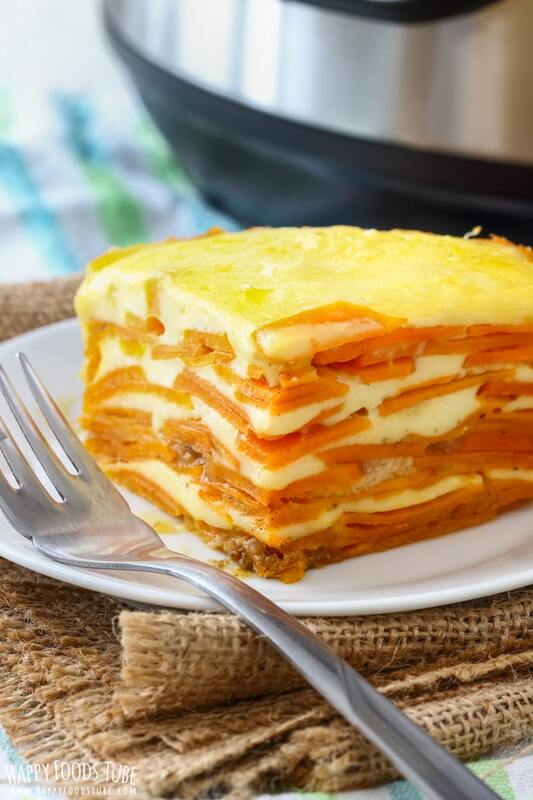 Guys, if you are a sweet potato lover, then this is a must-try recipe! It’s quick to make – thanks to pressure cooker, you only need 35 minutes to make them. This includes everything – the prep time + the cooking time + the time needed for the pot to come to pressure and release its pressure + the assembling. 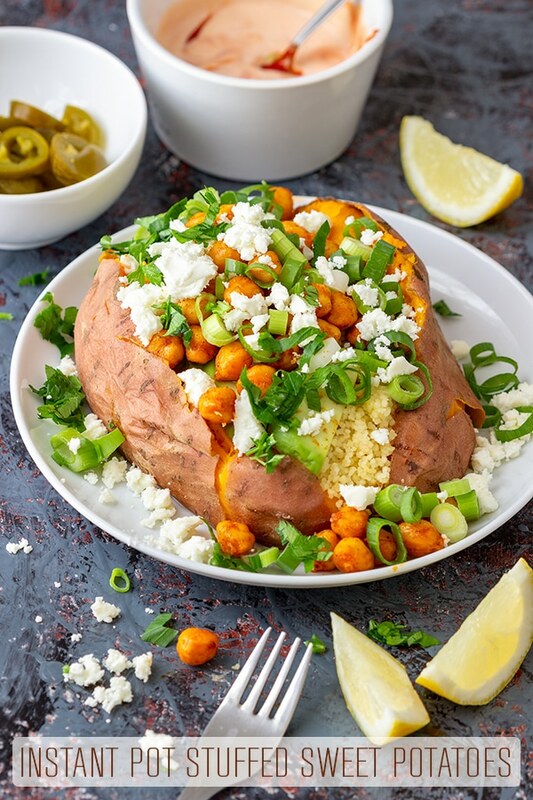 The flavors are just perfect – the combination of sweet potatoes, pan-roasted chickpeas, fresh avocado, spring onions and couscous are finished off with a generous amount of Feta and a squeeze of lemon juice. It can’t get any more Mediterranean than this, can it? It’s vegetarian and can be easily turned into a vegan dish, if you omit the Feta cheese. 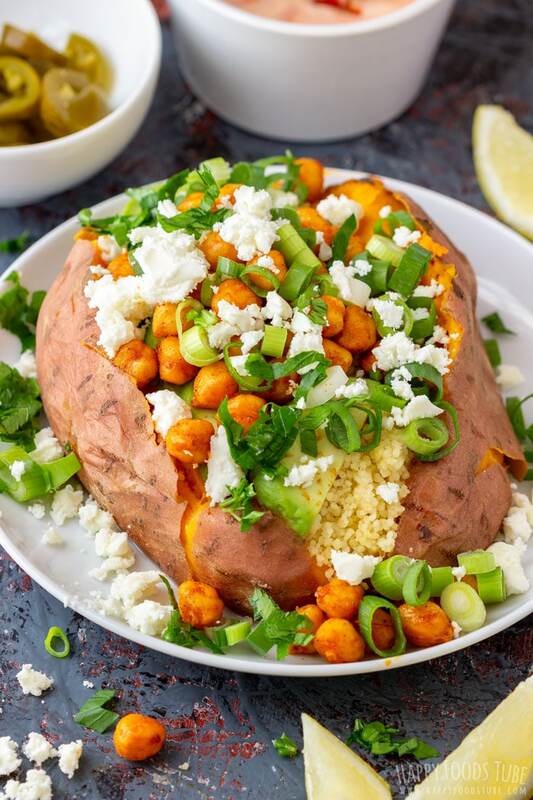 Perfect for outdoor entertaining – if you are bored with the same old side dishes for your grilled meats/fish/burgers/steaks, make a few of these Instant Pot stuffed sweet potatoes while waiting. They will be a hit! 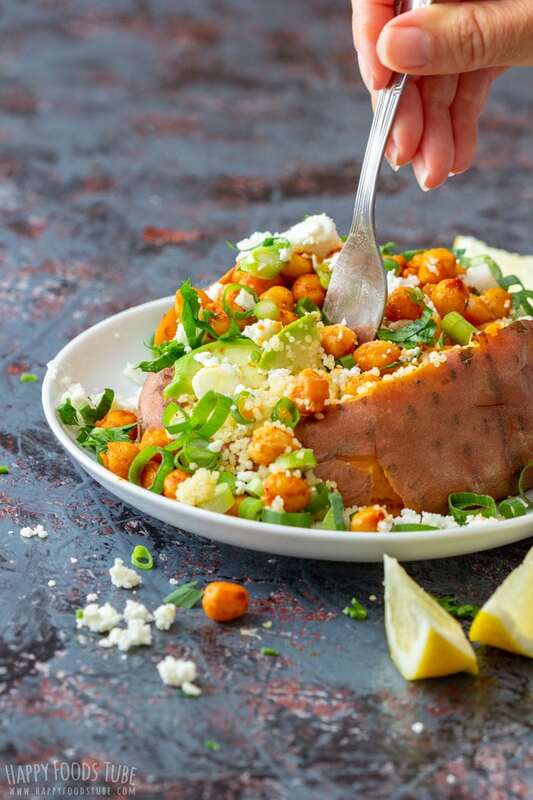 By the way, when making this Instant Pot Sweet Potatoes Recipe as a side, you can scoop out some of the inside to make more space for all the toppings. 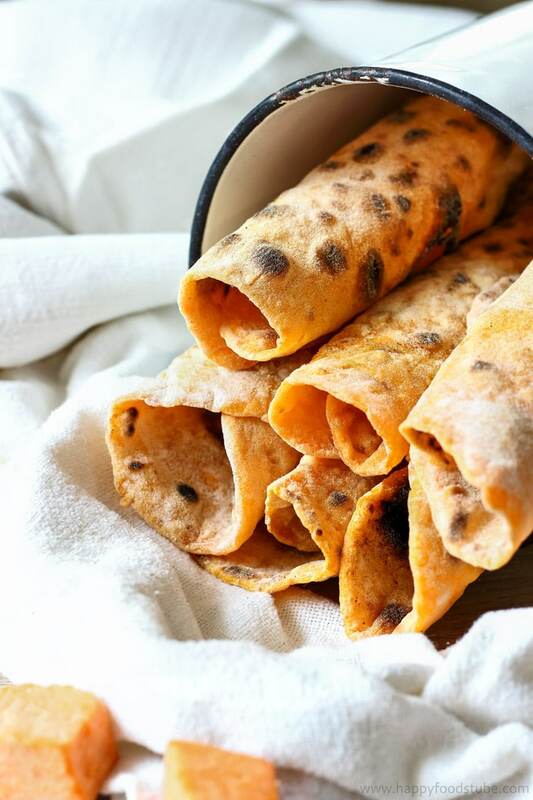 The leftover sweet potato mash can be used to make Homemade Sweet Potato Flatbread. Or throw an extra sweet potato in to your pressure cooker and you can make enough flatbread to feed several people. 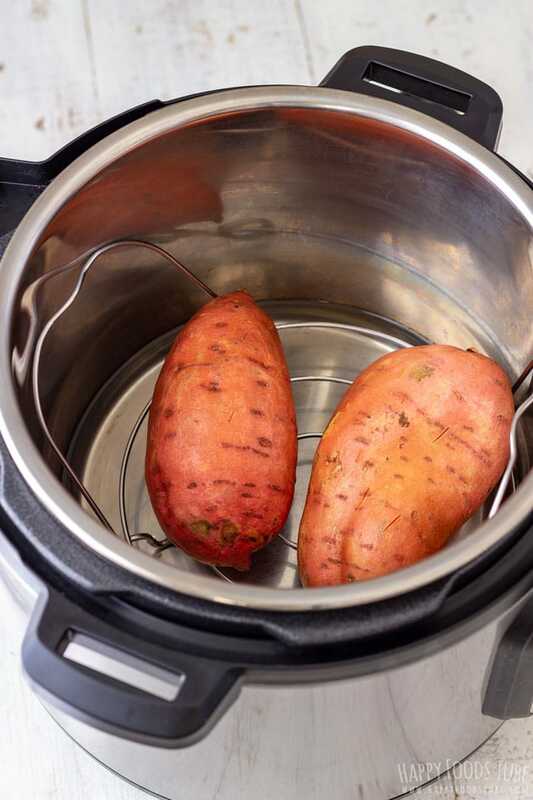 Can you cook sweet potatoes in a pressure cooker? Absolutely! Just throw them in and let the pot do its job. If you wanna see how to cook a sweet potato fast, throw it in your Instant Pot. Trust me guys it’s a life saver (and time saver). I also like making Instant Pot Sweet Potato Gratin in my pressure cooker. How long should you pressure cook sweet potatoes? Now the time might vary slightly. It depends on what size your sweet potatoes are. It’s quite important to pick similar size potatoes when you want all of them to be equally cooked. After several trials and errors I came to a conclusion that to cook sweet potatoes weighing 9.5-11 ounce each (270-320g) you will need 17 minutes cooking time at high pressure. 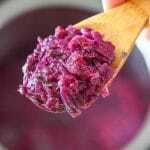 First prepare the sweet potatoes for Instant Pot by washing them thoroughly. To cook them, add water to the inner pot of your electric pressure cooker, put the steam rack inside and place the potatoes onto it. Cook them under pressure for 17 minutes. Meanwhile you do the prep for the toppings. 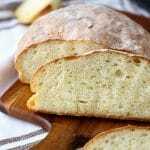 I absolutely love the flavor combination and would not omit any of the ingredients I used. However, this does not mean that you can’t. Just make it to your liking. I first partially cut lengthwise both sweet potatoes in half and opened them. The next thing which is important is to smash the inside with a fork. 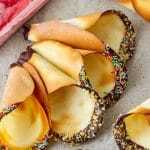 If you feel that it is not going easily, just insert the fork inside the soft potato and twist it around. This will make the smashing easier. For the toppings I used cooked couscous, fresh avocado, spring onions, pan-roasted chickpeas and crumbled feta cheese. Now I also squeezed a lemon wedge over which worked really well with sweet potato. Because I was aiming on making this a nutrient-rich main meal I counted with 1 medium sweet potato per person. If you want to make as a side, simply cut each potato in half completely and fill each half and it will serve 4 people. 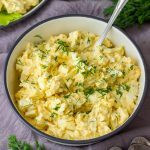 If you are not sure about squeezing some lemon juice over, just serve a few lemon wedges with each potato and every person can decide whether they want to try it or not. 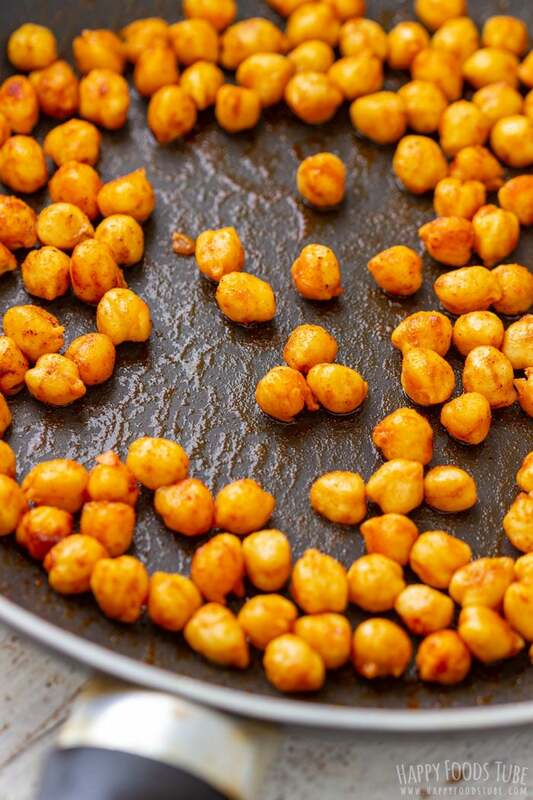 Pan-roasted chickpea is my favorite and it also is rich in protein so it’s a great substitution for meat. 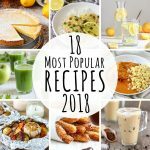 The health benefits of chickpea are also worth mentioning (high in iron, fiber, minerals, …) but if you don’t really like it, you can omit it. After 17 minutes in the Instant Pot, sweet potatoes will have mushy texture under their skin, but will be harder in the middle. This is fine, as you are going to smash the inside with a fork. 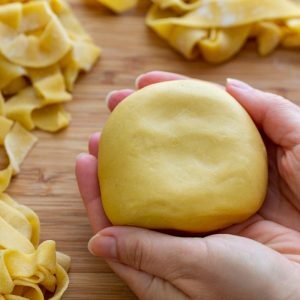 If you prefer them even softer, you can increase the cooking time up to 20 minutes. 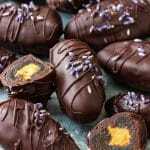 I hope you give these pressure cooker stuffed sweet potatoes a go and if you do, please let me know! P.S. 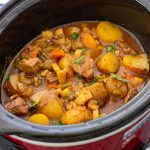 I have more Easy Instant Pot Recipes on the blog! Wash the sweet potatoes thoroughly under running water. Pierce them with a fork or knife. Pour 1 ½ cups water into the inner pot of the electric pressure cooker. Insert the steam rack and place the sweet potatoes onto it. Lock the lid in its place. Turn the steam release valve to SEALING. Press MANUAL (pressure cooking) and adjust time to 17 minutes (high pressure). Meanwhile: Pan-roast the drained chickpeas with some olive oil. Add salt and pepper. When you see the chickpeas are turning brown, add paprika and stir it around until the chickpeas are coated evenly. Pan-fry for a further minute before turning off the heat. Cut the spring onions. Peel and cut the avocado in half. Remove the stone and slice it. When the sweet potatoes are ready, wait until the steam is released naturally. This will take about 4-5 minutes. Turn off the pressure cooker and open the lid. Let the potatoes cool down slightly before cutting them in half lengthwise. Make sure not to cut through tough. Now mash the inside if the sweet potatoes with a fork. This will create a space for the toppings. Add the prepped toppings and serve with lemon wedges and crumbled Feta. 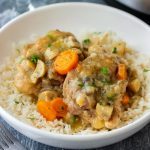 This recipe is developed for a 6-quart/6-liter Instant Pot. 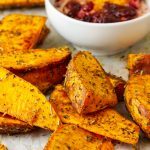 Medium sweet potatoes (weighing 9.5-11 ounces/270-320g) need 17 minutes in the Instant pot. If you use larger ones, you might need to adjust time slightly. 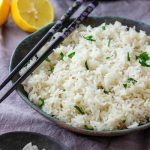 This recipe yields 2 servings as a main. If you want to serve these as a side, count with a ½ potato per person. To make this a vegan meal, simply omit the Feta! When cooking couscous from scratch, follow the package instructions. 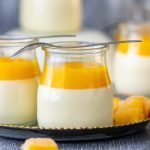 It can also be made ahead and stored in an air-tight container in the fridge until the following day. If you like spicy meals, add some jalapenos in as well. What a healthy and hearty meal! I can’t wait to try these! Thanks, Allison! Let me know what you think when you give it a go! I really need to get myself an instant pot!! These potatoes are perfect and its all so easy! The stuffing sounds so so flavorful! What a great idea for BBQs or parties! Easily customizable with lots of toppings. Definitely trying this! Good to hear that, Jen! Oh, my word! 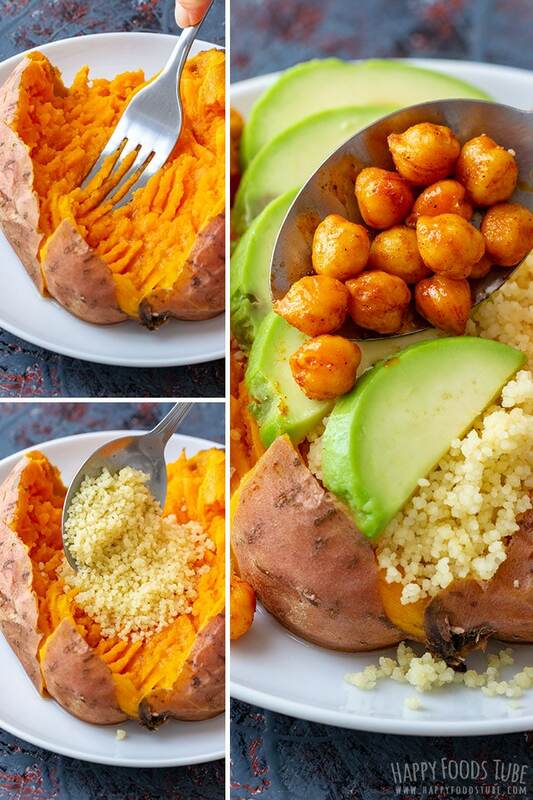 This is a meal in a sweet potato! Genius, meat free meal!! 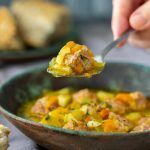 I so love all of the ingredients in this dish!